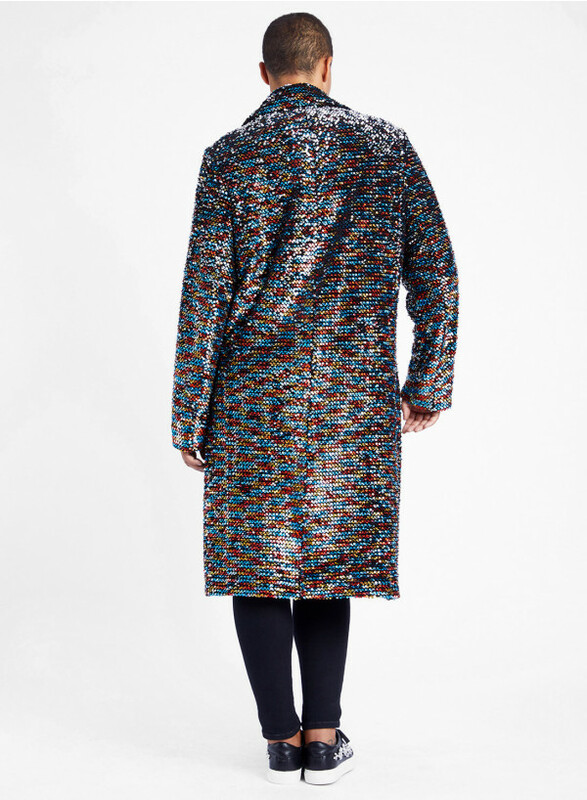 Get your disco on! 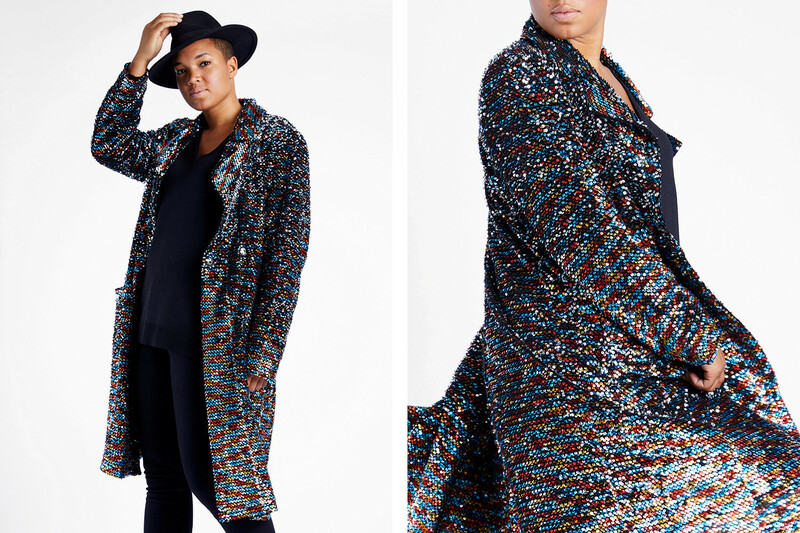 This coat will be your favorite sparkly statement piece this Season. 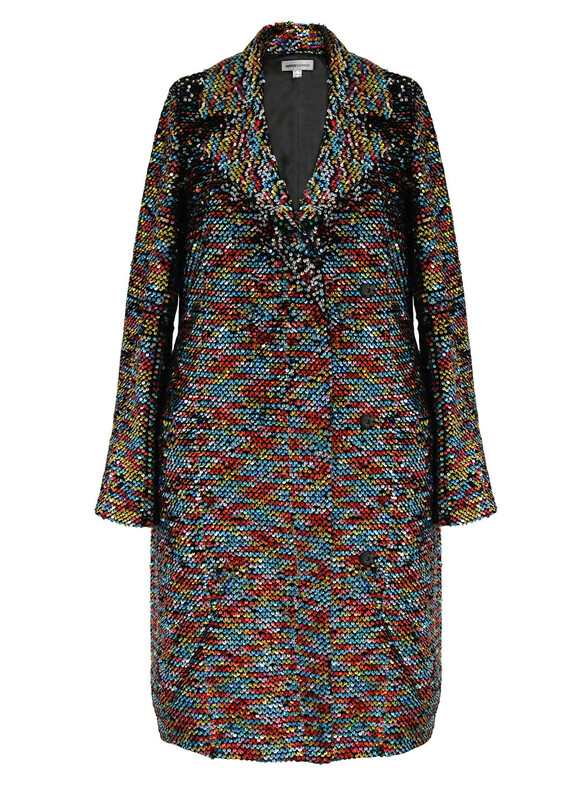 Anna's knee length coat puts a fun grown-up spin within this Season's range, the funky multi coloured sequins will sparkle no matter where you are. The coat features a collar and lapels and goes down slightly past the knee, perfectly paired with a black party dress and fancy heels!